This article gives suggestions for ways to connect one or more computers to the internet when operating a photo booth. An internet connection is required if you want to be able to let users email photos or upload photos to Facebook at an event. You may also want to network two or more computers together, with or without an internet connection, to share printers or to let users reprint photos using Breeze Kiosk running on a separate computer outside the photo booth. A number of different scenarios are described below. You may need to network several computers togther without requiring an internet connection. For example: two computers may share a single printer or one computer may be running the photo booth software and a second computer may be running Breeze Kiosk to allow users to reprint photos from outside the photo booth. The most reliable way to network the computers together is to use a router (e.g. TP-Link TL-MR3420 300Mbps 3G/4G Wireless N Router) and a wired connection i.e. plug a Cat 5 ethernet cable into one of the LAN ports at the back of the router and into the ethernet port on the computer. This will provide a secure, fast and reliable connection between the computers. You can also use WiFi connections for one or more of the computers. This is less secure than a wired connection because other devices may be able to connect to your network if they guess your WiFi password. It also may be less reliable if there are lots of other WiFi devices competing for bandwidth at the venue. If no internet is available at the venue and a 3G or 4G mobile data signal is available you can plug a 3G or 4G USB dongle into the USB port of the router. The router should be configured to use the 3G/4G USB dongle. 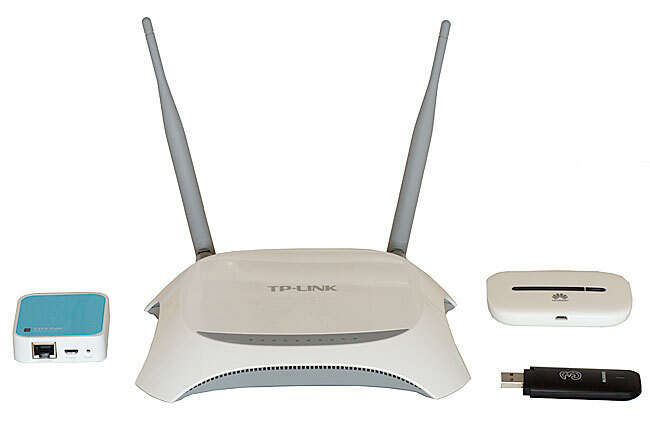 The TP-Link TL-MR3420 300Mbps 3G/4G Wireless N Router can be setup to use a wired WAN connection if available and to automatically switch to the 3G/4G mobile data connection if the WAN connetion isn't available. Please check that the USB dongle is compatible with the router. You can also use a 3G or 4G mobile WiFi device to connect several computers to the internet using a device such as the Huawei E5330 3G Mobile WiFi. This is simple to setup but may not be very reliable if there are lots of other WiFi devices competing for bandwidth at the venue. If no internet is available at the venue and a 3G or 4G mobile data signal is available you can plug a 3G or 4G USB dongle directly into a USB port on the computer. Normally the printer has a direct USB connection to the photo booth computer and is only used by that computer, but you may wish to share it with additional photo booths or with computers running Breeze Kiosk to allow users to select reprints from outside the photo booth. The printer can be shared by selecting "Devices and Printers" in the Windows Control Panel and then right click on the printer, select "Printer properties" and then click on the "Sharing" tab. Right click on the printer then select "Connect...". You may need to install the printer drivers when you connect to the printer for the first time. Please see the Windows help files for more detailed information on how to share printers. Please see the Windows help files for more detailed information on how to share folders. You can also use cloud based file sharing services such as dropbox, Google Drive and Microsoft OneDrive to share photos between computers. However, this method is not recommended unless you have a super fast and reliable internet connection. This is because to share a file between two computers the file has to be copied from the source computer to the internet and then downloaded from the internet to the destination computer. It is much faster to use a local area network to share the photos between computers. Please note that Breeze Systems cannot provide support on setting up networks. The information provided on this page is intended for guidance purposes only. If you need help please read the "Getting started" guides and manuals for the equipment you are using or visit support pages on the manufacturers' websites. Please also refer to the Windows help files for information on setting up file and printer sharing.